North Dakota snakes rank toward the bottom of the state snake diversity list. 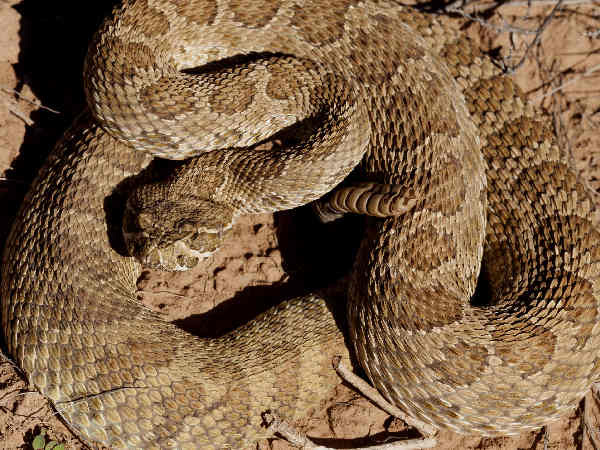 The eight species consist of one venomous snake, the Prairie Rattlesnake (Crotalus viridis). It’s range is limited to the southwest corner of the state. Welcome to all the North Dakota snake enthusiasts. Share your snake pictures and your snake identification skills. The snakes button on the left leads to information suited to answering basic snake identification questions. 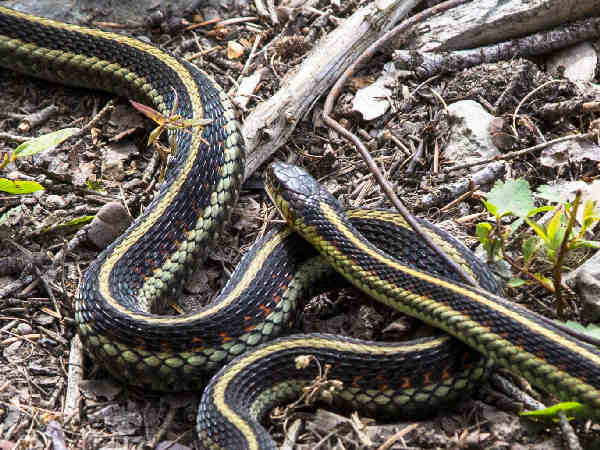 The state’s two Garter snake species, the Plains gartersnake and the common gartersnake are the most common species with a range that extends to all counties. 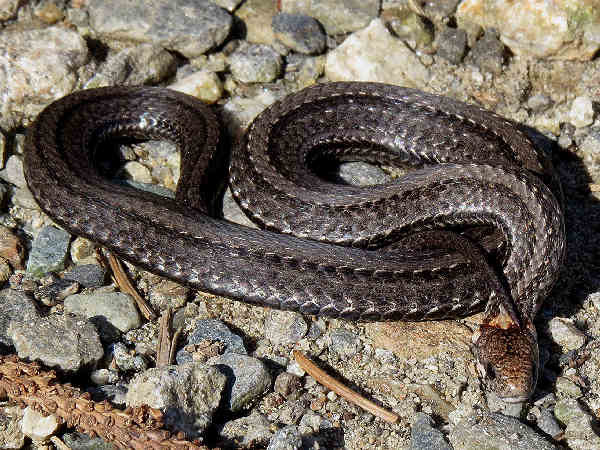 The Common Garter Snake in the picture is a rather bland looking species. Black Racer (Coluber constrictor) is the general name for one of the most widespread of all the snakes native to the United States. In fact eleven different subspecies inhabit almost every state in the lower 48 states. Color is a common name applied to many of the species as well as the Black Racer. Blue Racers or Eastern Yellow-bellied racers are the North Dakota subspecies. Their population is also in the southwest corner of the state. Gopher Snakes or Bullsnakes (Pituophis melanoleucus) are another of the very common snakes of the West with a small population that spills over into the Midwest. Look for Bullsnakes in the southwest corner of the state. 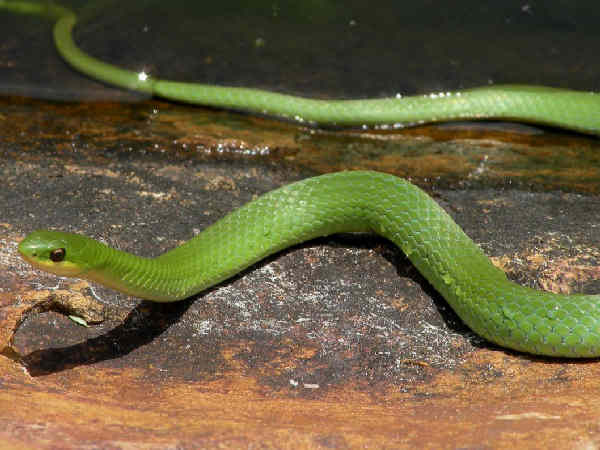 Smooth Greensnakes (Opheodrys vernalis) vernalis) also go by the name grass snakes. They are very common in most f the state’s counties. 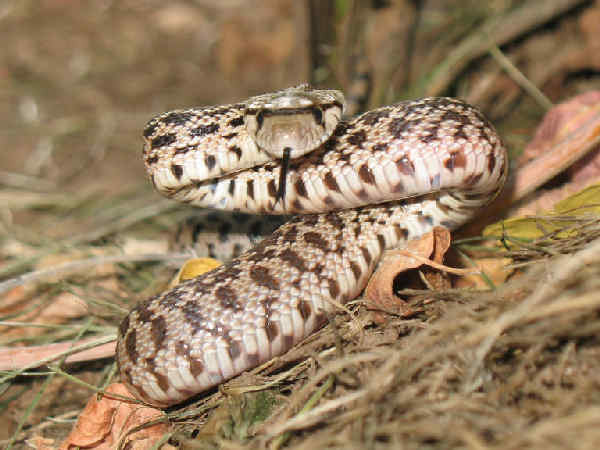 Plains Hog-nosed Snake (Heterodon nasicus) get recognized for the shovel type nose that helps them dig in the loose soils of the state. Their bodies can take on a variety of colors, covered by blotches.